Kelowna, February 13, 2013 - Monday, February 18th marks the beginning of Chamber of Commerce Week 2013. Chamber Week brings awareness to the important work these organizations do to stimulate local economies, promote their community, and engage in multi-level advocacy which benefits the entire province. No other business organization can match this incredible network that stretches across the country. 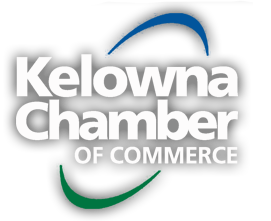 The Kelowna Chamber of Commerce Week 2013 sponsors are UBC Okanagan and BDO Canada LLP. With the recently released Top 10 Barriers to Competitiveness for 2013, the Canadian Chamber of Commerce has identified the main factors which are holding back Canada’s economic progress and ability to compete globally. Chambers of Commerce around the province, including the BC Chamber, have been very active recently in this area, and are a big part of the solution. The network of Chambers of Commerce across BC is the most influential business organization in the province. As the key representatives of their business community to government, Chambers actively listen to business needs and continually articulate them to government at all levels. Chambers of Commerce support businesses through benefit programs, services and education. Being community based means that Chambers are funded entirely by their members, events and sponsorship. This community investment is what drives Chambers of Commerce to directly support and stimulate local economies, and work collaboratively to create vibrant communities around the province.